The book is complemented with a set of exercises that challenge readers to test their understanding of the material. 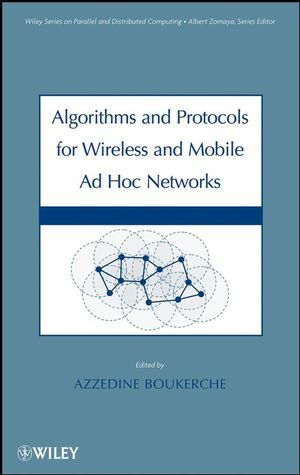 Algorithms and Protocols for Wireless and Mobile Ad Hoc Networks is appropriate as a self-study guide for electrical engineers, computer engineers, network engineers, and computer science specialists. It also serves as a valuable supplemental textbook in computer science, electrical engineering, and network engineering courses at the advanced undergraduate and graduate levels. Azzedine Boukerche, PhD, is a Full Professor and holds a Canada Research Chair position in wireless networking and mobile computing at the University of Ottawa, Canada. He is the Founding Director of PARADISE Research Laboratory, also at the University of Ottawa. Dr. Boukerche has published numerous papers in the fields of wireless networks, mobile and pervasive computing, and wireless ad hoc and sensor networks. He is an associate editor of several international journals. In addition, he has contributed as general chair and program chair to many IEEE and ACM international conferences in the areas of wireless communication and mobile computing, wireless ad hoc, and sensor and mesh networking. He is the recipient of several research awards for his work in the field of wireless and mobile networking.